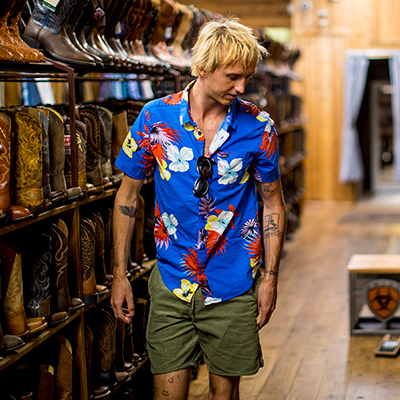 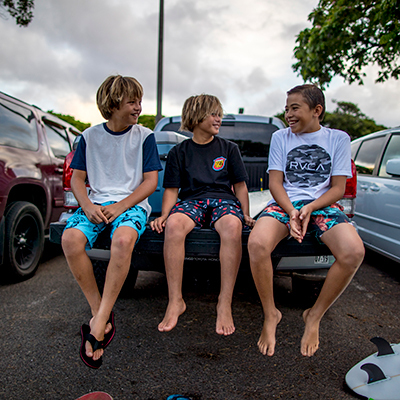 With timeless appeal, the Big RVCA Chino Pant maintains a relaxed fit and core lines for an active lifestyle. 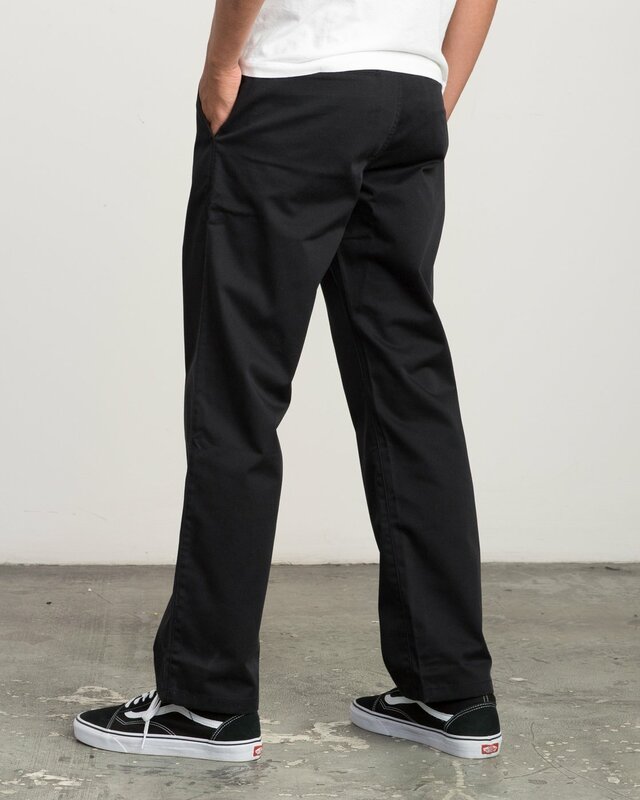 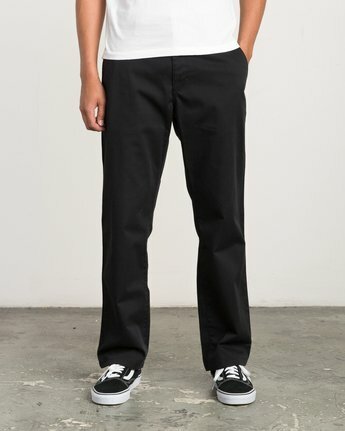 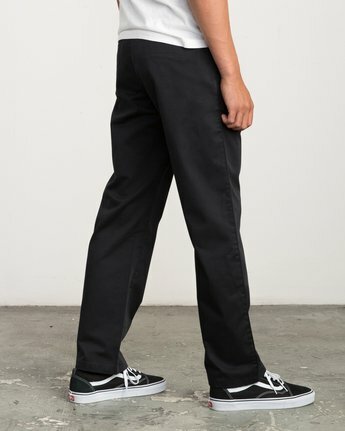 Combining authentic work wear lines with a wide leg and welt back pocketing, the mens chino pants add subtle RVCA labeling. 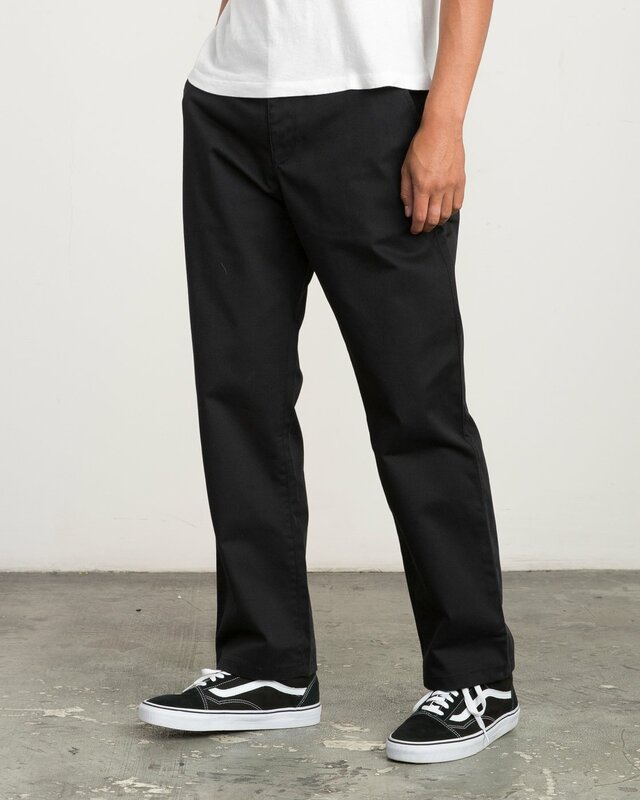 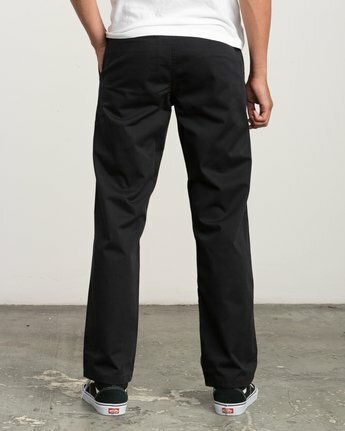 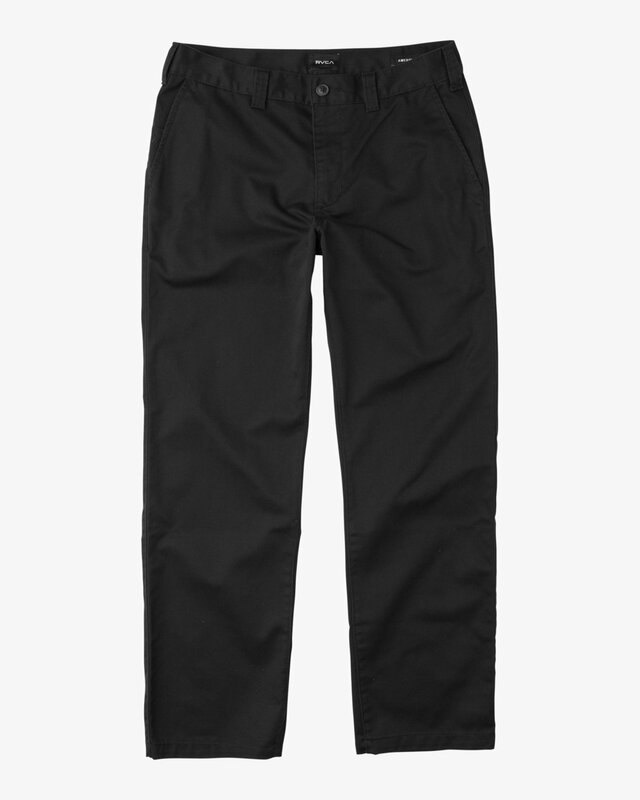 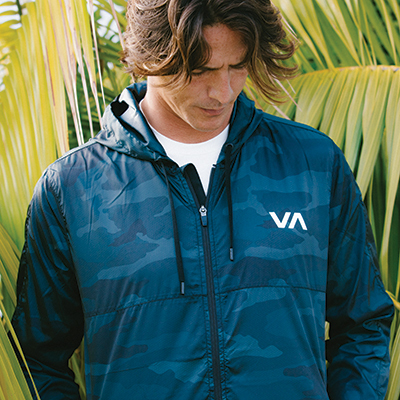 This pant fits 1-2 sizes smaller than other RVCA Denim/Pants. Please size up 1-2 sizes when ordering. Example if you're a 32, order 33 or 34 depending on your fit preference.